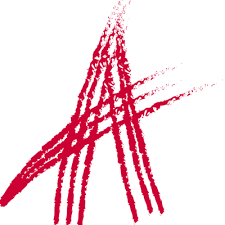 Aras Innovator is a powerful PLM platform designed for flexibility, scalability, and security. Although the task of managing product lifecycle for which it was designed is one of significant complexity, actually installing Aras Innovator is a relatively simple process compared with many other enterprise-level software products. Even so, installation can be made difficult if the pre-install environment is not correctly prepared, and the installation process itself does contain a few “gotchas” to be aware of. This article is intended to help make the work as painless as possible. Note: We’ll be working with the latest service pack at the time for this discussion, Aras 11 SP14, but in general the same issues and concerns exist for any install of version 11. As well, we’ll be focusing on performing a basic, no-frills installation with all components on a single machine, and no domain accounts required. In addition to the prerequisites, the Aras Innovator Platform Specification document should also be reviewed to understand the hardware and software expectations of the underlying infrastructure. This may be less important in an evaluation environment. You can find the document here, Platform Specification. Since Innovator is a web-based framework, the web server provides the services necessary to serve up content to the client browser. It’s important to note that IIS is not active in a default Windows environment; it must be enabled. Along with IIS, there are several features and role services that must also be installed. 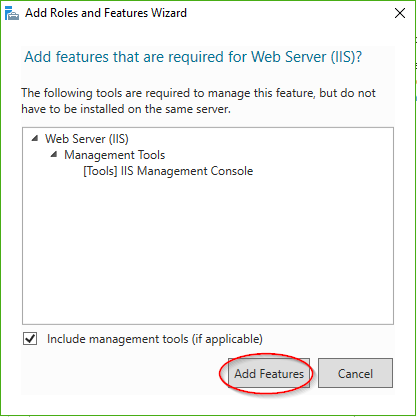 Below are the steps for enabling IIS and the required features in the Windows Server 2016 and Windows 10 environments. Windows 10 is a great environment to use to do an evaluation but should not be considered for production use or a multi-user environment. Screenshots were taken from Windows Server 2016. Note that for Windows Server 2012, .NET 4.5 will be in place of .NET 4.6.
a. .NET Framework 3.5 Features – This is not strictly needed for a default install of Aras Innovator, but there are still add-on components that may require it. 2. Request Monitor – Useful for troubleshooting a slow or unresponsive IIS worker process, as it allows you to capture information about the HTTP requests executing in a given process. 5. On the Confirmation section, click Install. Note that if the server does not have the required source files for all above features, it may need to obtain them from Windows Update, so access to the internet or a Windows Server Update Services (WSUS) server may be required. a. The Web Server (IIS) feature is listed as Internet Information Services. b. 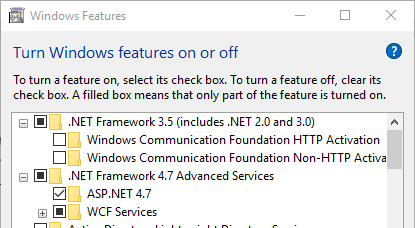 Where .NET 4.6 is indicated, use .NET 4.7 instead. Aras Innovator uses a Microsoft SQL Server backend for its database. Below are the features and configuration options to include during SQL installation. This list applies to standard, development and express editions of SQL Server. Screenshots were taken from SQL Server 2016 standard. You can download SQL Server Express 2016 from this location, SQL Express 2016.
a. Database Engine Services – the core install required for SQL to work. 2. For Instance Configuration: choose Named Instance, and specify a name for the instance. It’s best to use a name that distinguishes this server instance in some way, such as “SQLServer2016”. 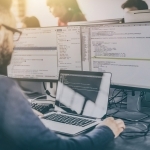 Avoid specifying Aras or Innovator, as a database instance can hold many databases, and may end up being used for other applications. When you enter an instance name, the Instance ID will change to match. a. SQL Server Agent – Set to automatic if you plan to create automated SQL jobs, otherwise you can leave it as Manual. Note: this option is not available for SQL Express. b. SQL Server Browser – Set to automatic if you plan to make connections to the database instance from another computer on the network via the SQL Browser interface (e.g. via SQL Server Management Studio). c. If you plan to use neither of the above, just leave defaults. a. Specify an Authentication Mode of “Mixed Mode”, and enter a password, which will apply to the default “sa” or system administrator account. Take note of this password for use during installation of Innovator itself. Note: This mode is required. Innovator installation creates some database users that use SQL Server authentication. b. Click Add Current User to add the currently logged in user as an additional administrator, if it’s not there already. 5. For Reporting Services Configuration: Choose Install and Configure. The File Server will be used to hold the Vault, where user-uploaded files will be stored. There is no configuration required for this since we plan to use the same machine for both the installation and file storage. 1. Be sure you are logged in as a user with Admin privileges! Not doing so will cause permission issues in the code tree or failure to install. 2. Make sure the computer has access to the internet. This makes requesting a license during installation much easier. 3. Destination Folder: Generally, it’s fine to use the default folder. If you decide to change it, avoid using a folder name that includes the version or service pack numbers if you intend to be performing in-place upgrades in the future. 4. Setup type: Choose Custom Setup and leave the default selections (as shown below). The Conversion Server and Agent Service can be installed at a later time if needed. 5. Web Alias: This will make up part of the URL used to access Innovator. The default is fine (InnovatorServer). 6. SMTP server: If you are installing Innovator for evaluative purposes, leave this setting as “queue”. 7. OAuth Server: Enter a password to be used for OAuth certificates (any will do). Note that an explanation of OAuth is outside the scope of this article. a. Database Server: Click the dropdown and choose the SQL instance you installed earlier. The default value in this field is “(local)”, but that is not enough if you created a named instance during the SQL install. If your SQL instance is not displayed in the dropdown, then it will have to be typed in. In this example, type SQLServer2016. b. DBA Login Options: When creating a new database, choose “Server Authentication using the Login ID and password below”, then enter sa for the Login ID the password you created for the “sa” account during SQL installation. c. Database Login Options: The passwords for the “innovator” and “innovator_regular” database users are specified here. Note that some Windows Server configurations enforce a password complexity policy. In this case, when you attempt to configure the database, you will receive an error to this effect. d. Database Name: Default database name is generally ok. If you choose to rename, remember not to use version or service pack numbers if in-place upgrades in the future are possible. 9. After the form is filled out, select the Configure database button. The button will gray out and the installer will make the connection to SQL server and create the database. The Next > button will enable when the process is complete. Select Next > when it is enabled. 11. The administrative username and password are admin and innovator, respectively. 1. Installation videos – There are several videos on YouTube that specifically discuss installation, so watch through a few of them before installing yourself. 2. Aras documentation – Read through any applicable documents found in the Documentation folder where the installation guide was located, or on the documentation page on the Aras website. Don’t forget the Release Notes; they contain valuable information about known issues. 3. Aras Forums – The Aras website provides forums for different topics related to Innovator. One of them, the Getting Started Forum, can be a good place to look for solutions to problems that might arise during installation. Hopefully this article helps yield a smooth and easy installation for Aras Innovator. 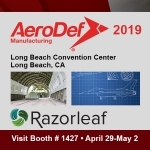 If you still find yourself running into questions or issues, our experienced Aras team at Razorleaf is ready to help you through the process, so don’t hesitate to reach out to us! Good luck, and happy PLM-ing!